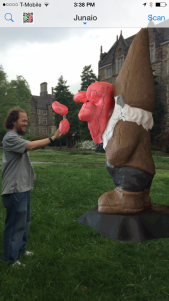 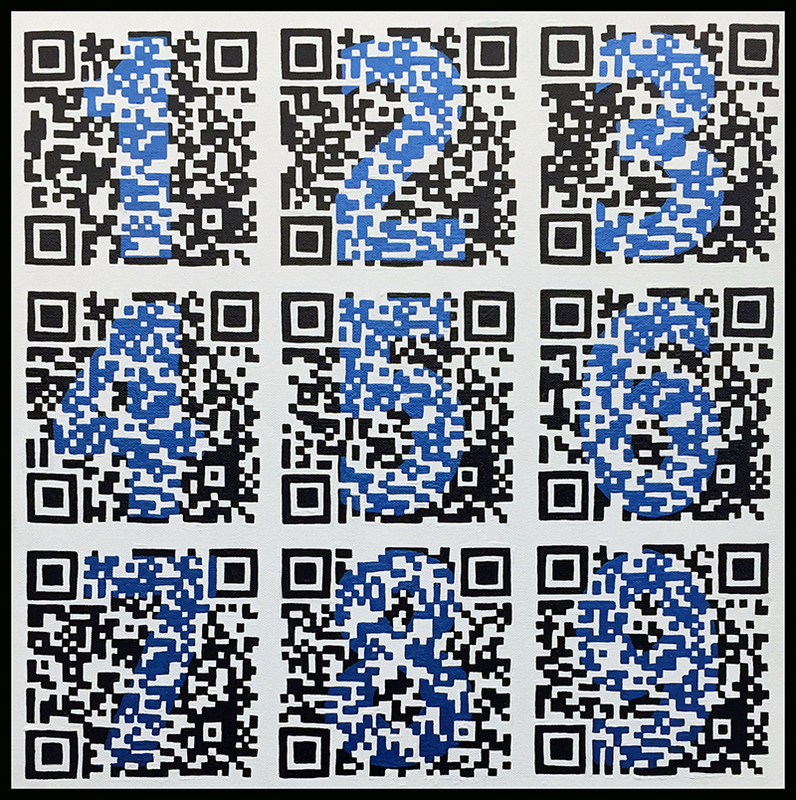 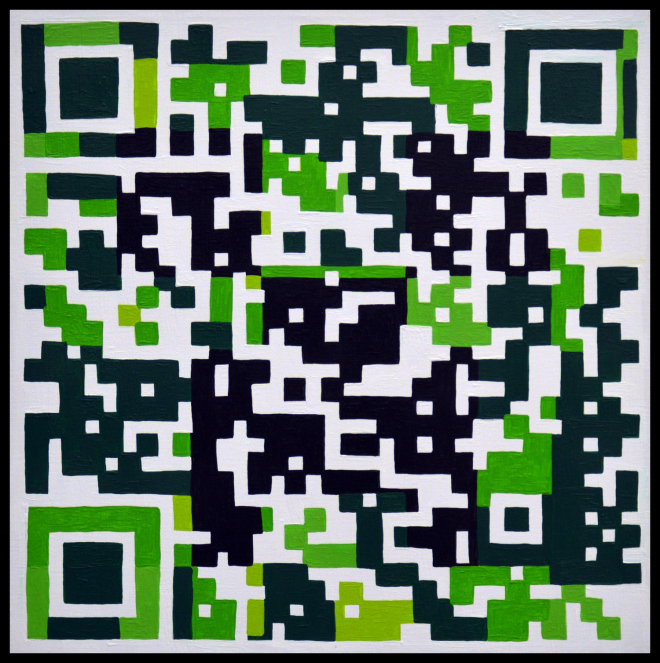 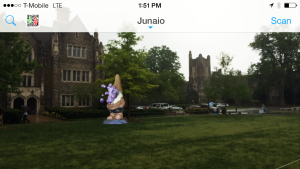 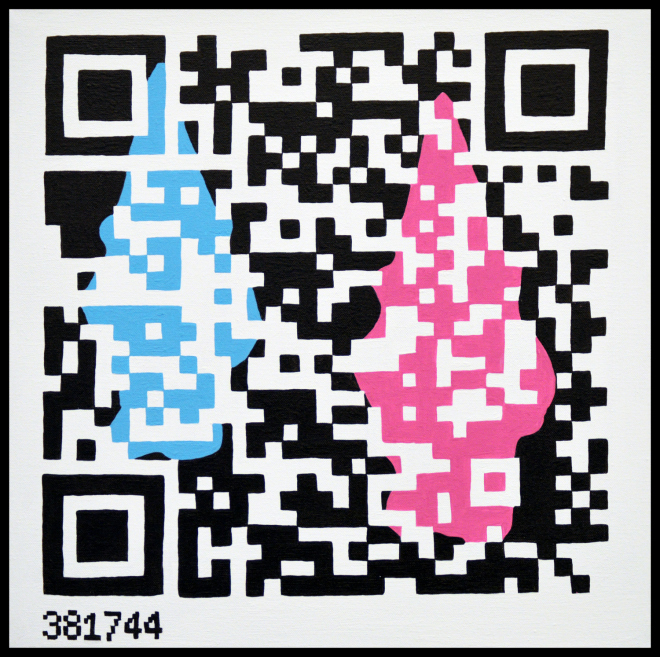 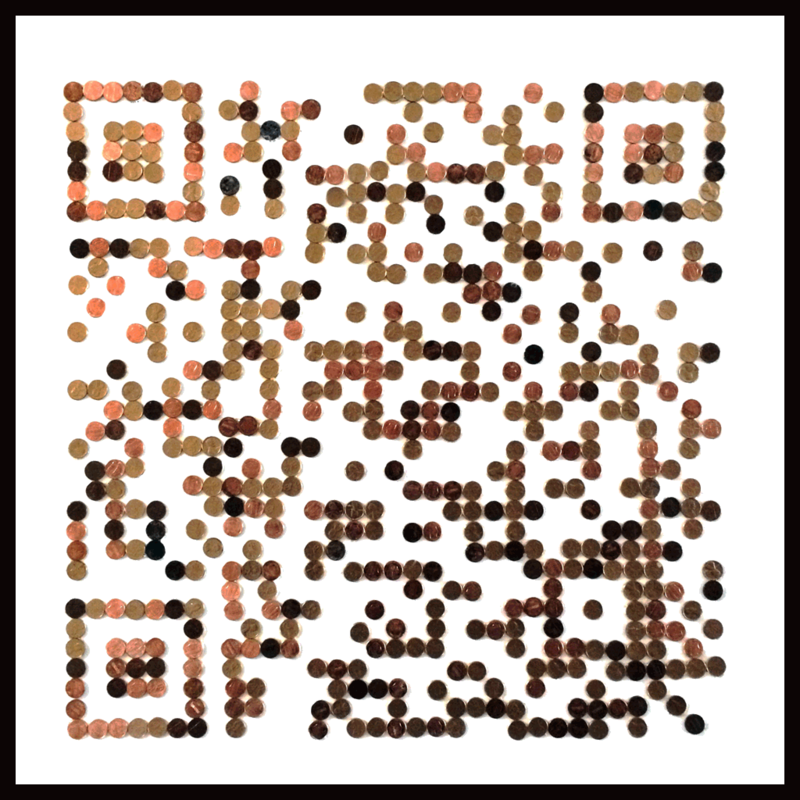 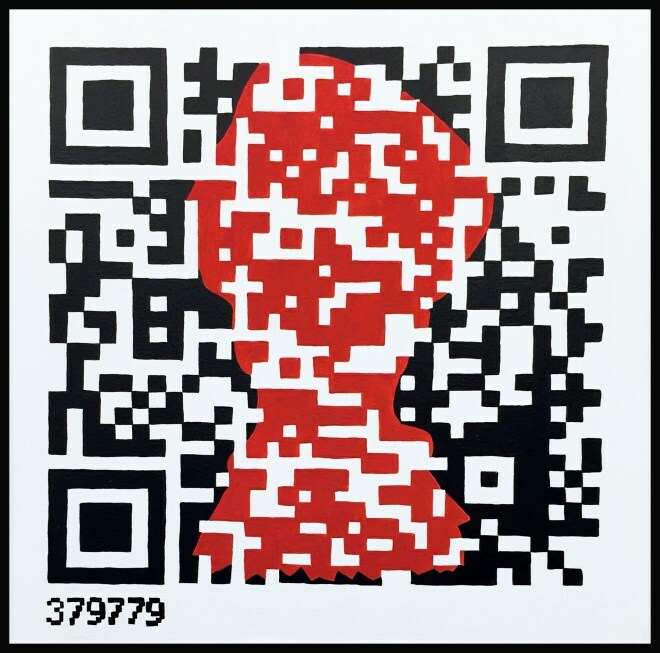 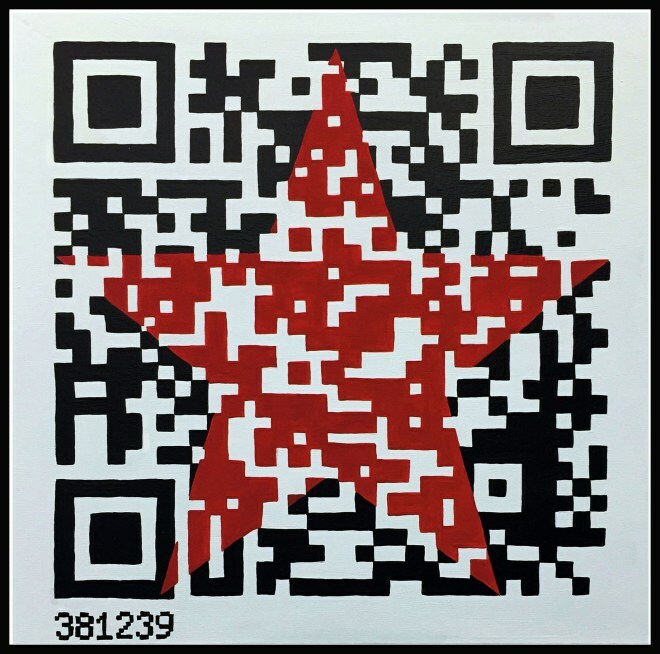 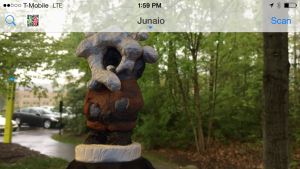 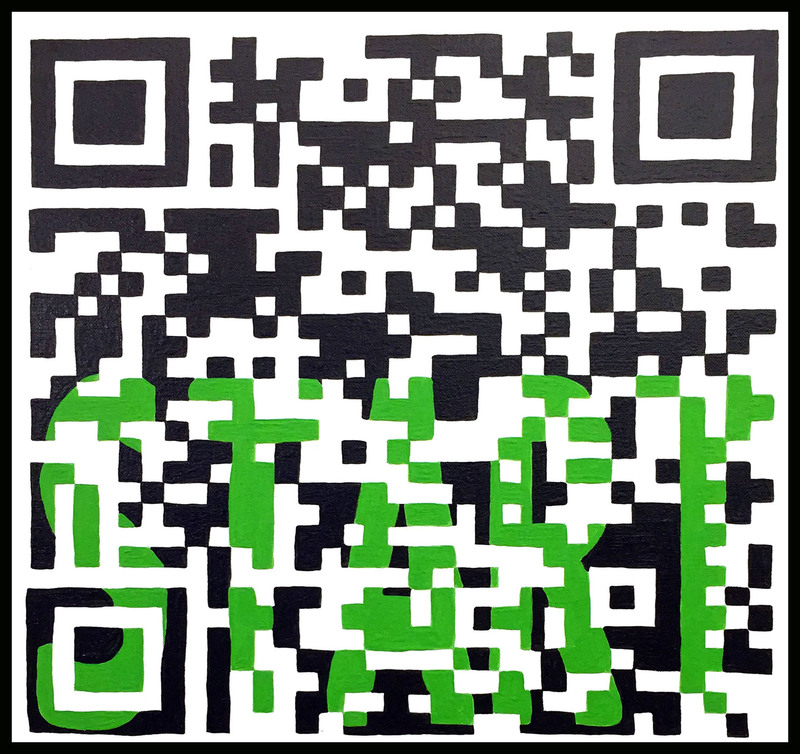 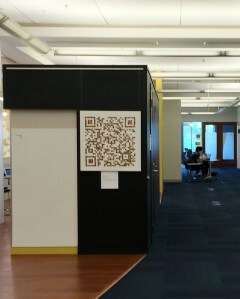 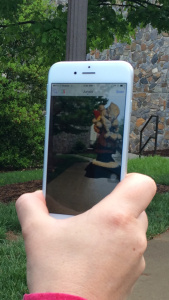 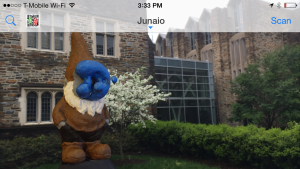 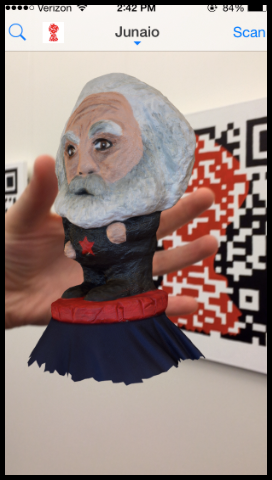 Upon scanning this QR painting, a digital rendering of a hand-sculpted Karl Marx Gnome appears in augmented space. 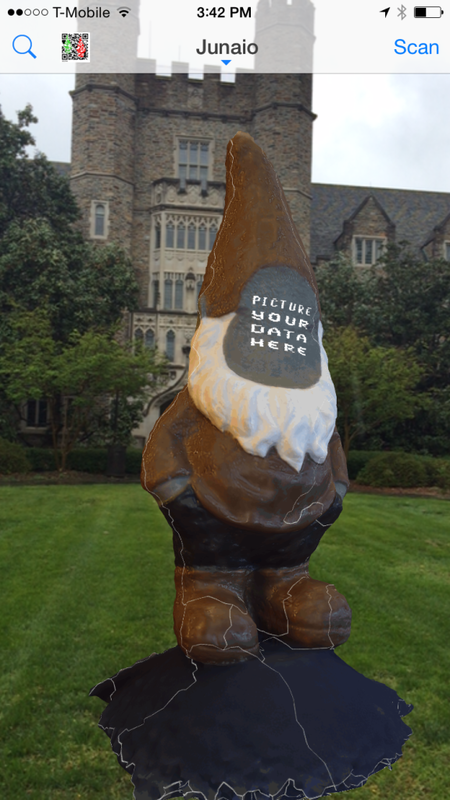 The physical gnome, which is made out of solid concrete and can be seen in the window display to the left, was scanned with photogrammetric techniques and brought back into the digital realm as a 3D object. 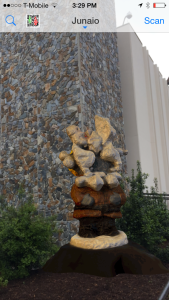 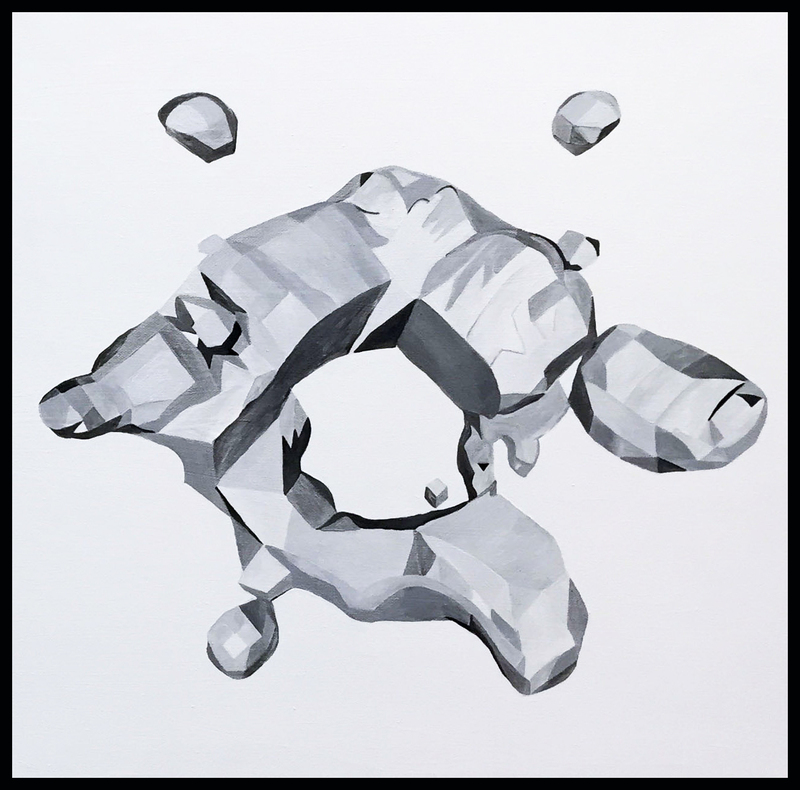 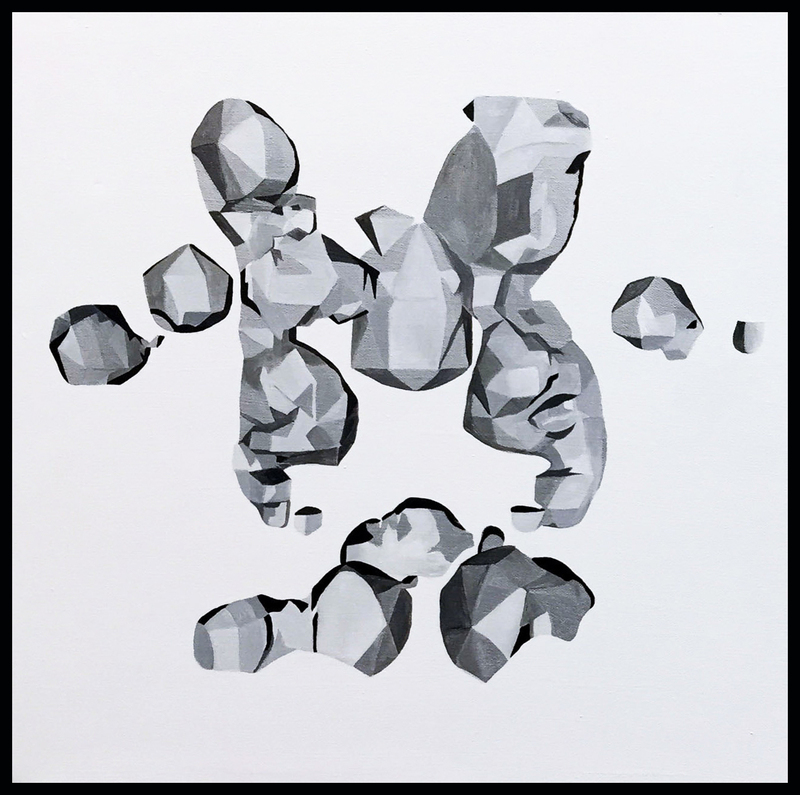 This piece, like all of the works collected in “Making Mining Networking,” reflects on the contemporary boundary between physical, virtual, and augmented spaces and seeks to link this theme with questions about “immaterial labor” and the mining of our digital activity.